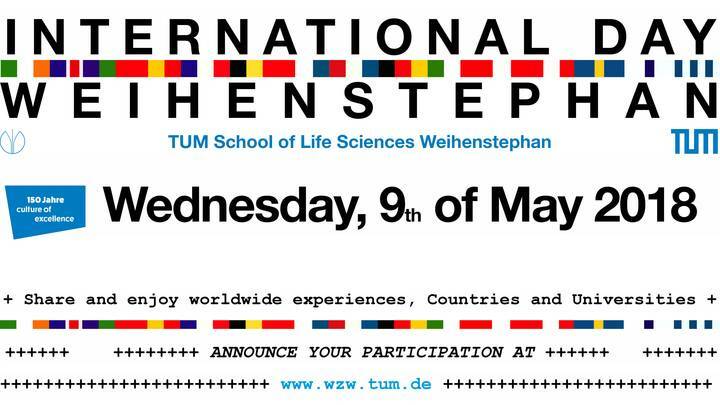 Since its establishment in 2014, the 'International Day' at Life Science Center Weihenstephan has been a platform for everyone involved or interested in the field of internationalization. International students and employees make up approximately 20 % of the Weihenstephan Campus. At the 'International Day' they share cultural and culinary highlights from their home countries at various information booths and on stage in a diverse, fresh and friendly way. This event hopefully also encourages more of our students to gain international experience by considering a stay abroad. Information stands and oral presentations by students who have returned from abroad are complementing the event. The last 'International Day'-event at the campus Weihenstephan on 9th of May 2018 initiated a series of 'International Days' at different TUM locations contributing to 150th jubilee celebrations of TUM.